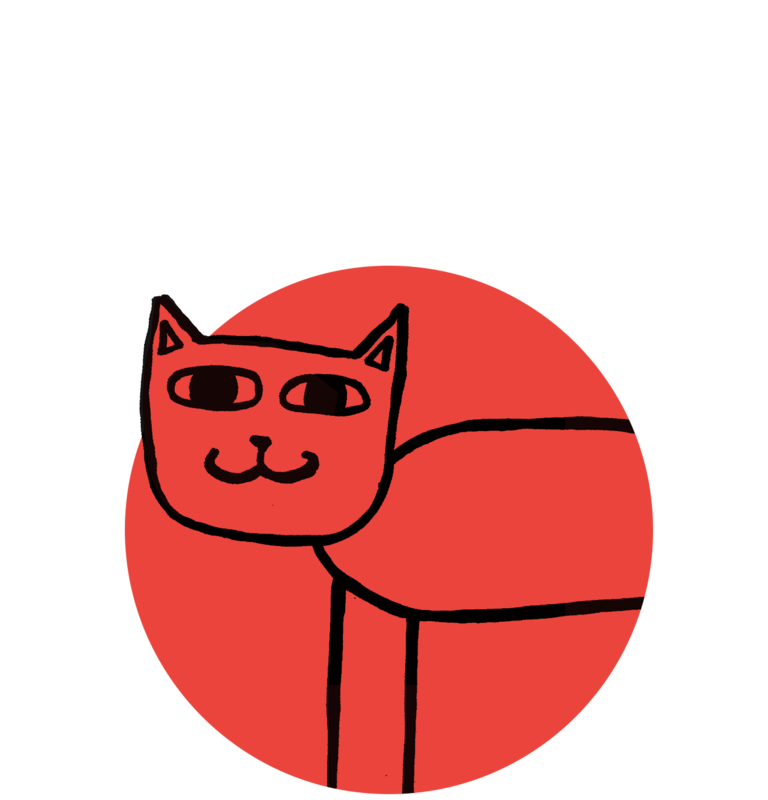 Win $1,000 for college in less time than it took us to draw this cat. 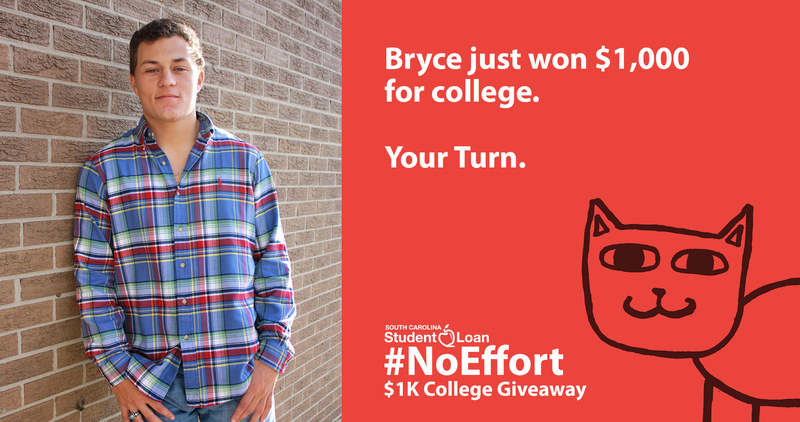 We're giving away $1,000 to a high school junior or senior, college student, or parent for college tuition. Every month, we'll pick a new $1K winner and feature them on our website. Keep coming back every month for a chance to win. Just enter your name, email, and phone. Seriously, that's it. We'll never give your information away, we promise. Enter to win free money for college in less than a minute. And remember, you can come back every month for another shot at $1K. Tell us about yourself. - None -I'm a junior in high school.I'm a senior in high school.I'm in college or grad school.I'm a parent. I agree to receive updates about products and offers. Promotion Description: The SCSLC $1K College Giveaway (the “Giveaway”) is a promotion that begins at 12:00:00 a.m. Eastern Time (“ET”) on July 1, 2018 and ends at 11:59:59 p.m. ET on the last day of July 2019. SCSLC reserves the right to shorten, extend, suspend, modify or cancel the promotional period or the Giveaway, at its discretion, at any time. Who May Participate: The Giveaway is open to (A) Eligible Students eighteen (18) years of age or older; and (B) parents and legal guardians of Eligible Students applying on behalf of their Eligible Student, unless such individual is a resident of any state where the Giveaway is prohibited by law. Each participant in the Giveaway must have Internet access and a valid email address. Employees of South Carolina Student Loan Corporation (SCSLC) and their immediate families (spouses, children, parents, siblings, and in-laws) and persons living in the same household of such employees are not eligible to participate in the Giveaway. Eligible Student: a United States citizen, national or permanent resident who is (A) a South Carolina (“SC”) resident and an enrolled SC high school senior (12th Grade) that is planning to attend an Eligible Institution during the following Academic Year; (B) a SC resident that is enrolled at an Eligible Institution and has at least one full Academic Term remaining; or (C) a non-SC resident that is enrolled at an Eligible Institution within SC and has at least one full Academic Term remaining. Eligible Institution: a public or private not-for-profit college or university located within the United States and approved by the U.S. Department of Education for participation in the Title IV, Higher Education Act (as amended) programs. Academic Year: August through May of each calendar year. Academic Term: a semester or trimester (as applicable) between August and May of each calendar year. Summer semesters or trimesters shall not be considered part of the Academic Term for purposes of these Rules. How to Enter: No purchase, application, loan or other transaction is necessary to enter. Visit the SCSLC website at www.scstudentloan.org or visit SCSLC’s Facebook page. Follow the directions to complete the Giveaway entry form. Submission of your name, the Eligible Student’s name, e-mail address, mailing address, phone number, and the name of your Eligible Institution (if known) (your “Personal Information”) will enter you into the Giveaway (an “Entry”). All eligible Entries will have an equal chance of winning. Limit one (1) Entry per person per month. However, multiple parents can enter (one (1) Entry each parent) for the same Eligible Student. Parents with multiple Eligible Students can only enter once per month; if such parent wins the Giveaway, the parent will determine which Eligible Student will receive the prize. In case of multiple Entries received from any person in a month, only the first Entry received from such person will be considered. Entries discovered to be generated by script, macro or other automated means or by any other means which subvert the Entry process are void. Proof of entering Personal Information on the SCSLC website is not considered proof of delivery to or receipt by SCSLC of such Entry. Participants are solely responsible for Internet connectivity, software and/or hardware that may be required in order to create and/or submit any Entry. Incomplete and/or inaccurate Entries are void. Any Entry that does not comply with these Official Rules will be void, eliminated and not eligible for the prize. In the event of a dispute regarding Entries received from multiple users having the same email address, the Authorized Account Holder of the email address at the time of Entry will be deemed to be the Entrant and must comply with these Official Rules. “Authorized Account Holder” is defined as the natural person who is assigned to an e-mail address by an Internet access provider, online service provider or other organization (e.g., business, educational institution, etc.) that is responsible for assigning e-mail addresses for the domain associated with the submitted email address. Drawing and Winner Notification: Winners will be determined by random drawing from all eligible Entries received during the Giveaway period. The drawing will occur on the first business day after the last day of the prior month. The winner will be notified by SCSLC by phone, email and/or mail (as selected by Sponsor). If the winner fails to respond to SCSLC and/or fails to provide the required Statement of Eligibility and Publicity Release within 15 business days of such notification, the prize will be forfeited and SCSLC may, in its discretion, choose an alternate winner by random drawing. SCSLC decisions as to the administration and operation of the Giveaway and the selection of the potential winner are final and binding in all matters related to the Giveaway. Prizes. The winner of the Giveaway will receive one (1) prize of a One Thousand Dollar ($1,000) scholarship, to be paid directly to the Eligible Student’s Eligible Institution at or about the beginning of the next Academic Term (i.e. prizes for any Entries received between December 1 and June 31 will be awarded in August; prizes for any Entries received between July 1 and November 30 will be awarded in January). An Eligible Student may receive only one (1) prize per Academic Year. If, for any reason, the Eligible Student does not enroll in and attend an Eligible Institution during the following Academic Year (for high school students) or Academic Term (for college students), the Giveaway prize will be forfeited and SCSLC may, in its discretion, choose an alternate winner by random drawing. Verification of enrollment in a SC high school or an Eligible Institution, on at least a half-time basis, as defined by the Eligible Institution, and verification of SC residence, if applicable, are required in order for the Eligible Student to be awarded the prize. Receiving the prize is contingent upon compliance with these Official Rules. In the event that the potential winner is disqualified for any reason, SCSLC may award the prize to an alternate winner by random drawing from among all remaining eligible Entries. Odds of Winning. Odds of winning depend upon the number of eligible Entries received. Your odds of winning a prize without making a purchase, submitting a loan application, accepting a loan, or entering into any other transaction with SCSLC are the same as the odds of someone who does make, submit, accept, or enter into the same. General Conditions: Void where prohibited by law. All federal, state, and local laws and regulations apply. The Giveaway is in no way sponsored, endorsed or administered by, or associated with Facebook. Giveaway winners are responsible for all federal, state, local or other taxes or other assessments that may be associated with or imposed upon the winner. Giveaway winners (and/or the parent or legal guardian if the prize winner is under the age of 18) will be required to sign a Statement of Eligibility and Publicity Release, to be returned with 15 business days. By participation in this Giveaway, winners and Eligible Students grant SCSLC permission to use their name, likeness, photograph, and other biographical information on SCSLC’s website, social media feeds and for advertising and other uses without compensation unless prohibited by law. Giveaway prizes may not be substituted, transferred or exchanged. SCSLC is not responsible for late, lost, incomplete, delayed or misdirected Entries or for any typographical, printing, human, mechanical, electronic, network, computer, or other errors relating to or in connection with this Giveaway including, without limitation, errors or problems that may occur in connection with the administration of the Giveaway, the processing of Entries, the determination of the winner, or in any other Giveaway-related materials. All Entries become the property of SCSLC. By participating, you (A) accept and agree to these rules and decisions of SCSLC whose decisions are final; and (B) agree to release, indemnify, and hold harmless SCSLC and its directors, officers, employees and agents (“Released Parties”) from and against any and all claims, charges, liability injuries or damages of any kind arising out of your participation in the Giveaway or acceptance or use of any prize. Released Parties are not responsible for injury or damage to participants' or to any other person's computer related to or resulting from participating in this Giveaway or downloading materials from or use of the website. SCSLC may disqualify anyone from participating in the Giveaway or winning a prize if, in its sole discretion, it determines that such person is attempting to undermine the legitimate operation of the Giveaway by cheating, tampering, deception, fraud, or other unfair practices, or intending to annoy, abuse, threaten or harass any other entrant or Sponsor’s representatives. CAUTION: Any attempt by any person to deliberately damage any website or undermine the legitimate operation of the Giveaway is a violation of criminal and civil laws, and, should such an attempt be made, SCSLC reserves the right to seek damages from any such person to the fullest extent permitted by law. Limitations on Liability: UNDER NO CIRCUMSTANCES WILL SCSLC OR ITS AFFILIATES OR AGENTS BE LIABLE TO YOU OR ANY OTHER PERSON FOR ANY CONSEQUENTIAL, SPECIAL, INCIDENTAL, INDIRECT, PUNITIVE, OR EXEMPLARY DAMAGES, EVEN IF SCSLC IS ADVISED BEFOREHAND OF THE POSSIBILITY OF SUCH DAMAGES. Miscellaneous: These Official Rules will be governed and construed in accordance with the internal laws of the State of South Carolina, without regard for its conflict of law principles. By submitting an Entry, you hereby irrevocably consent to the exclusive jurisdiction and venue of the state and federal courts located in Richland County, South Carolina for all disputes, causes of action and claims that you may bring or initiate that arise out of or relate to the Giveaway and you hereby waive any objections to the laying of venue in such forum. ANY LEGAL OR OTHER PROCEEDING COMMENCED BY OR ON YOUR BEHALF UNDER THESE OFFICIAL RULES SHALL TAKE THE FORM OF AN INDIVIDUAL ACTION OR PROCEEDING (AND NOT OF A CLASS ACTION OR PUTATIVE CLASS ACTION OR OF A COLLECTIVE, REPRESENTATIVE OR OTHER SIMILAR ACTION OR PROCEEDING). CLASS ACTIONS OF ANY KIND (WHETHER PURSUED THROUGH THE COURTS ARE OTHERWISE) ARE NOT PERMITTED. YOU ACKNOWLEDGE AND AGREE THAT YOU MAY BRING CLAIMS AGAINST US AND OUR AFFILIATES AND RELATED PARTIES ONLY IN YOUR INDIVIDUAL CAPACITY, AND NOT AS A PLAINTIFF OR CLASS MEMBER IN ANY PURPORTED CLASS ACTION OR OTHER REPRESENTATIVE ACTION OR PROCEEDING. SCSLC’s failure to enforce any right or provision set forth in these Official Rules will not be deemed a waiver of such right or provision. In the event that any provision set forth in these Official Rules is held to be invalid or unenforceable, then that provision will be limited in order to eliminate the associated defect, and the remaining provisions of these Official Rules will remain in full force and effect. Privacy: Your Personal Information may be used to administer the Giveaway; resolve disputes; prevent potentially prohibited or illegal activities; enforce these Rules; inform you about our services and those of affiliated companies; provide targeted marketing and promotions; and respond to legal requirements. Giveaway Winners’ List: To receive a list of Giveaway winners, please send a request for the same and a self-addressed, stamped envelope to: SC Student Loan Corporation, PO Box 102405, Columbia, SC 29224-2423. The names of Giveaway winners will be posted on our website (www.scstudentloan.org) and Facebook page, so visit often to see if you are a winner. Sponsor: Giveaway is sponsored by SC Student Loan Corporation. Revisions: Last revised April 11, 2018. SCSLC may change or modify these Rules from time to time. Your submission of an Entry form constitutes your acceptance of these Official Rules, as they may be modified from time to time. SC Student Loan reserves the right to alter, suspend, or terminate benefit programs at any time. Some conditions and/or restrictions may apply to benefit programs. Applying for college takes effort. Winning $1K was #NoEffort. Need more money for school? We'll help you make smart borrowing decisions. We want you to borrow less for college so you can enjoy life after graduation more.